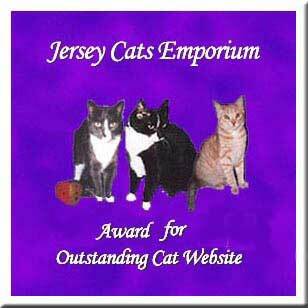 Hi, there are now two of us kitty cats, Lady and Baby Simba make up the Jersey Cats Emporium. We are the pride and joy of our Meowmie, Aurora. Lady is 20, and Simba is a 10 old kitty cats. Angel Buster and Lady were here first. 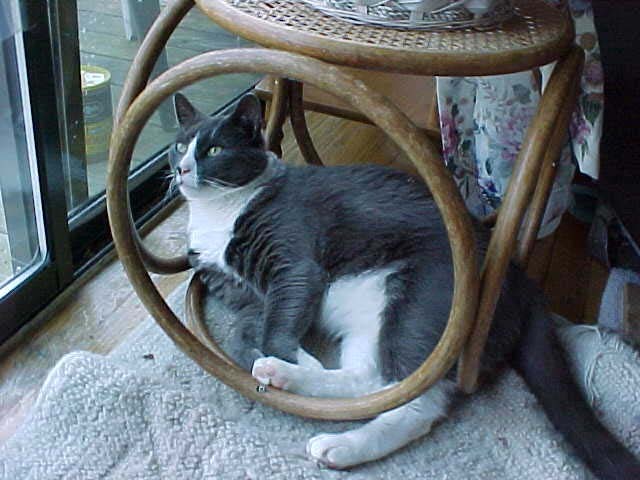 Our beloved Buster went to the Rainbow Bridge in 2007. We miss him. 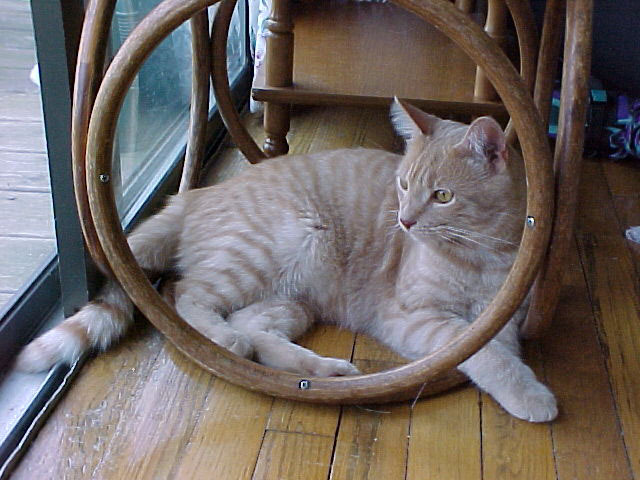 But along came a little ball of orange named Simba in 1998. He has turned the kitty world upside down here, but Simba is a very loving, if frisky kitty. 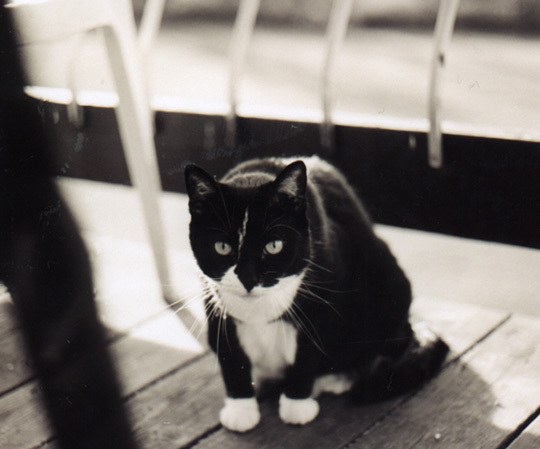 We each have our own page and there is a page for our Meowmie too and some of her photography. 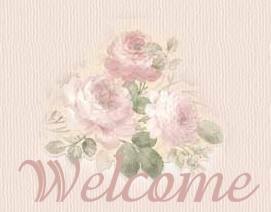 We hope you will enjoy your visit here! 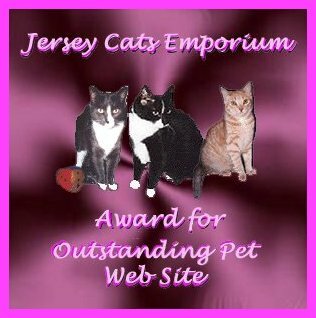 for Outstanding Pet Web Sites. 2. The site needs to be about real cats or real pets. deserves our award and which award you would like. Shepherd and Ringo the cat! Critter City- all about pets and animals. 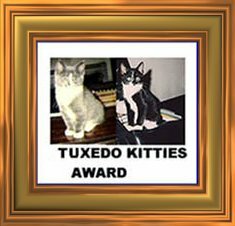 Susan and her "FriskyAngel's World"
"The Cats" - (Smidget, Dink and the Boys, Tuxedo and LucyDucy)!!!! "HomePage of Molly, Cricket amd Ginger"
Aurora, Buster, Lady, and Baby Simba. 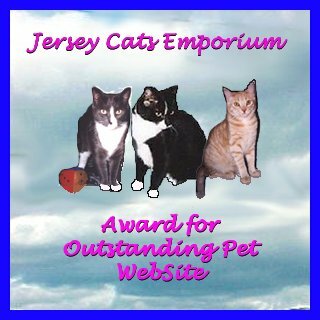 This Ring of Awards site is owned by Aurora,Buster, Lady & Baby Simba. This Pet Award Ring site is owned by Buster,Lady and Baby Simba Want to join the Pet Award Ring webring?